The Most Boring Hub Title, Ever? 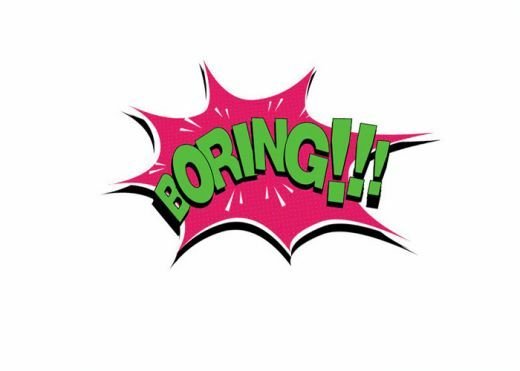 But, one of our more outgoing Hubbers aptly named rockinjoe has decided to encourage this type of bored-inducing nonsense with his latest contest that he has cleverly called The Most Boring Hub In Hubpages History. The rules were simple – Hubbers commented a boring Hub title in the comments and if they were boring enough then they might have the chance to be a finalist in the contest. Many were entered but only a few were selected as the most boring of them all. Joe and his awesome helper mistyhorizon2003 picked the most boring of them all and added them into a poll over here on rockinjoe’s website. If you want to add your vote you have until January 9th to so. Personally, I think that MightyMom’s Hub title of ‘My Garden Hose Is Blue’ is pretty hard to beat. Makes me nearly fall asleep just thinking about it.